happy new year! the weather for the first day of the year was rainy and grey. we are having an unusually un-snowy winter. no pretty white landscape photos to share from Michigan, USA. so the dog is my first photo of the new year. my son returned home after 5 years away. along with him came the dog and the cat you will see as well. this has been a year of completer turn around...daughter got married august 2017 then came the holidays, then she announced her pregnancy while we were both looking for new houses. she found a new home so the getting ready began. we were offered a good price for our home by a man who walked up the driveway. we took it but had no home in the works. we were given a year to stay in our home so we continued to look. we had baby showers, my son returned home, we moved our daughter and found our home. my mom turned 95 and then the holidays. throw in vacations and moving piece by piece slowly and getting things picked out for the new house renovation and it has been a busy year. now our grandson has been born, our first. my little peeper. he's adorable. I have yet to take more than a cell phone photo of him this year so I am not posting one of him yet for this year but you can take a look at my december 14, 2018 photo of him if you like. he was a tough delivery so the days I have been over the house with him are mostly spent working around the house or holding and feeding him so mom can rest and heal. anyway, I'm liking 2019 so far and looking forward to improving some skills this year and possibly moving to mirrorless gear...that remains to be seen. I think being back here will help to re-ignite some of my lost creativity and passion for photography. I kept up looking at your photos all along the way. hopefully I can be a bit more present going forward! 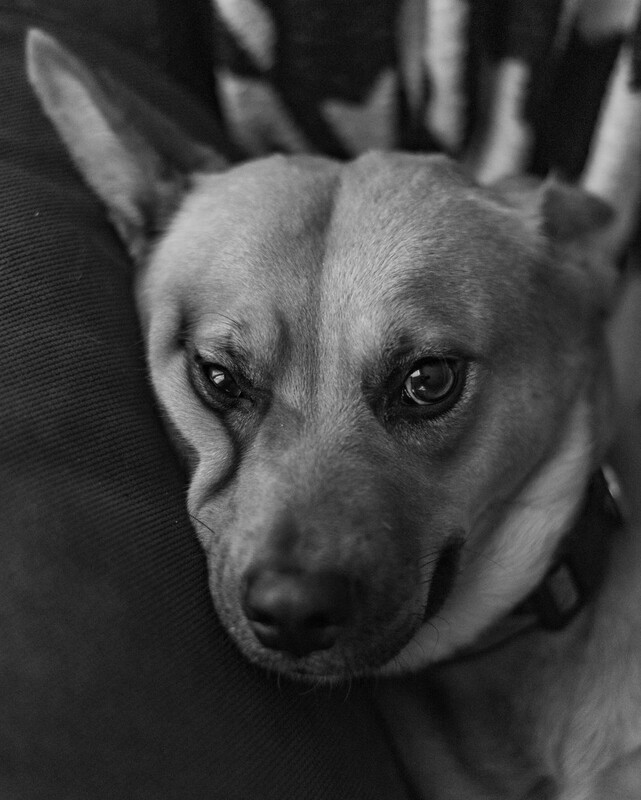 Nice b&w doggie portrait. Good to hear how things are going for you. I agree the lack of snow is hurting the potential for lovely winter landscapes but I have to admit I can do without it! :). We had more in November than the rest of 2018. Looking forward to your photos!